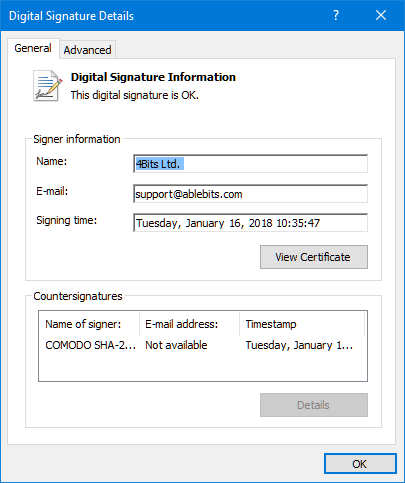 Starting from January 2018, Ablebits will use a new code signing certificate. 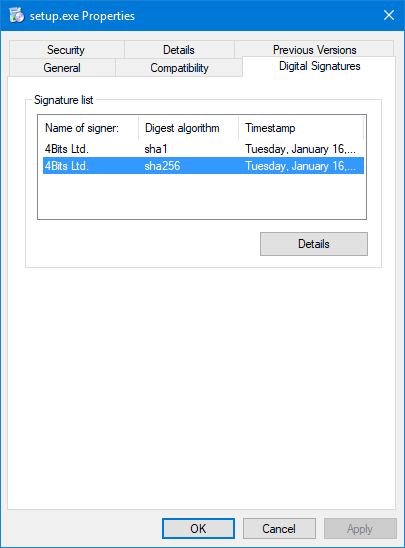 For many years we've been using a code signing certificate from Symantec to preserve the integrity of our products, and for you to be sure that yet another setup.exe has been compiled and published by us. And we were very pleased with the fact that our certificate had become trusted for millions of individual users and companies around the world. However, in 2016, Mozilla and then Google decided they would no longer trust the certificate issuing procedure practiced by Symantec. 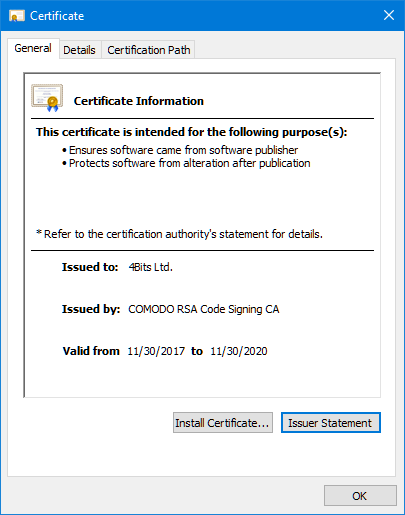 As the result, beginning with 2018, all certificates issued by Symantec will become untrusted. 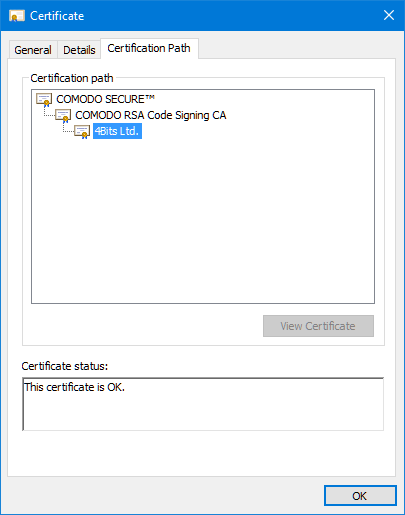 Currently, it concerns the certificates that confirm the authenticity of web-sites and are used for safe connections with them (ssl-certificates). But we were alerted by this situation, kept an eye on its development and decided to change our code signing certificate, so that one day we would not find ourselves in a situation where our users simply would not be able to run our products. That is why, starting with January 2018, we will be signing all our products with a different certificate. And this will cause one side effect. And then, hit Run Anyway. And make sure that the cert is valid. 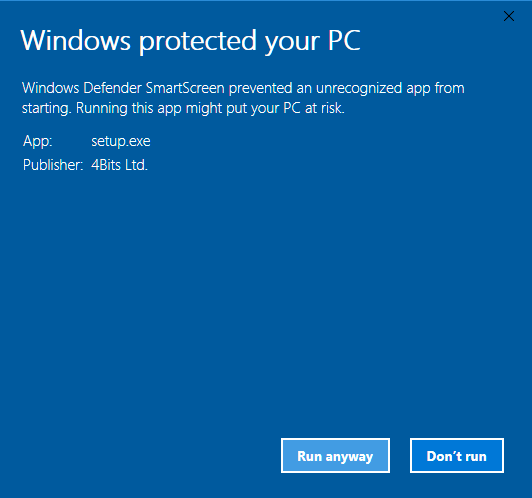 Also, some antivirus software may not allow running our setup.exe (or msi) because our new certificate is not familiar to them. 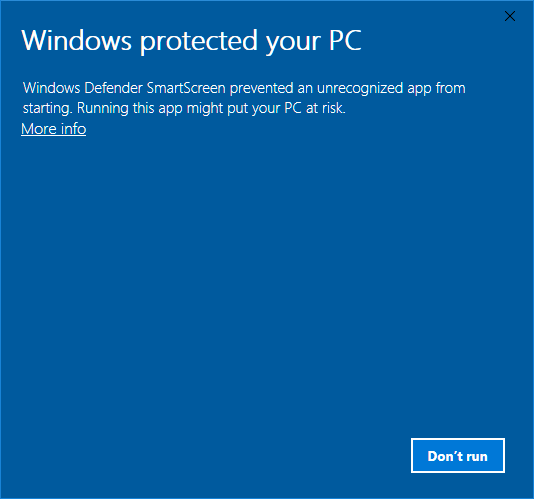 If your antivirus has blocked our product, please contact our support service and they will promptly help you. That's all. Sorry for this! If you have any questions or concerns, please don't hesitate to contact our support team or post your questions in comments to this post. We thank you for your support and understanding!